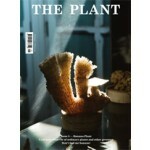 The choice plant for THE PLANT issue five is the determined banana plant. The monograph includes illustrations by Atelier Bingo, Pia Bramley, Leonie Eichin & Ilg, Trüb, Anna Topuriya and Fizzzbzzzz! 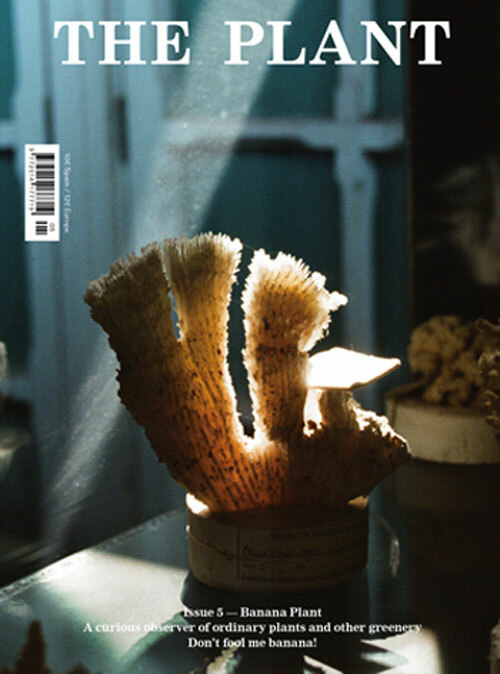 We visit plant life in Mozambique with Lina Scheynius, the edible garden and allotment of Alys Fowler in Birmingham and investigate the supernatural vegetation of LA through the lens of Daniel Trese. Sarah Ryhanen writes about the 'good life' and the beginnings of Worlds End Farm, her flower farm in New York state. Takashi Homma documents the forests of Fukushima in the aftermath of the Tōhoku earthquake and a sleepy summer's day is spent at Borgen Island in Sweden with photographer Wai Lin Tse. We take a child-sized view of the playground, as designed by sculpture Isamu Noguchi; learn how to make apple and ginger jam, test the pH of soil using red cabbage and how to play God with a watering can. You'll also find carnivorous plants, heirloom tomatoes, tree stumps, comic heroes and even unicorns. We take a child-sized view of the playground, as designed by sculpture Isamu Noguchi; learn how to make apple and ginger jam, test the pH of soil using red cabbage and how to play God with a watering can. You'll also find carnivorous plants, heirloom tomatoes, tree stumps, comic heroes and even unicorns. Do not forget Scheltens & Abbenes and their happy salads with a Brother's Grimm twist.